Walnut oil: Walnut oil has healthy helpings of omega 3 and omega 6 fatty acids, which are shown to improve memory. Instead of reaching for corn or sunflower oils, which have very little omega 3s, whip up your stir-fry with walnut oil for the sake of your brain. Canola is another great choice, as it also contains these powerhouse nutrients. Dark chocolate: Cacao packs a one-two punch of antioxidants and caffeine to help you stay alert and focused. 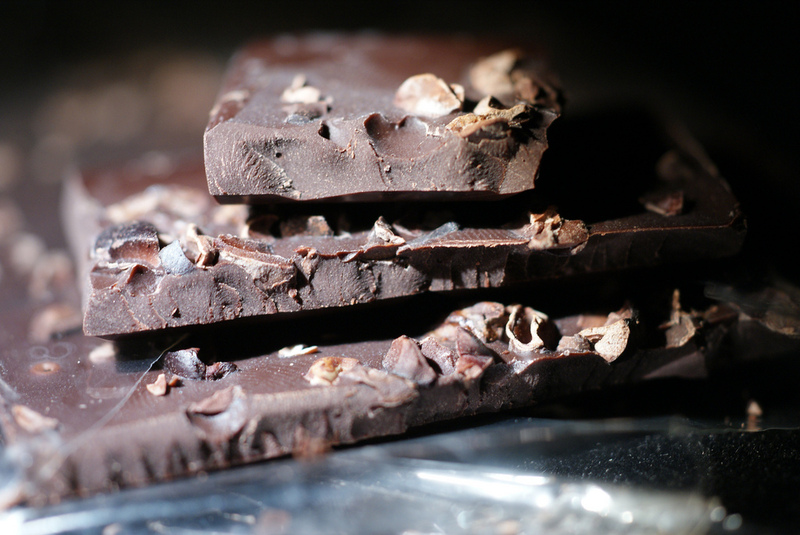 That’s great news for chocolate lovers, but bad news for your waistline if you overdo it. Stick with an ounce a day to reap the benefits but not the extra body fat. And the darker, the better — go for the sugar-free nibs if your palette can handle them. Blueberries: These purple beads of goodness are thought to prevent ailments like Alzheimer’s disease, multiple sclerosis and Parkinson’s disease. According to research published in the Archives of Toxicology journal, these degenerative illnesses are partially caused by hydroxyl radicals, toxins that stem from poorly-bound iron. Blueberries contain iron chelators, which bind iron and thus combat disease. Eggs: Those huevos rancheros may be helping more than just your hangover. Eggs are rich in B-vitamin choline, which research suggests increases alertness, memory and reaction time. As awesome as eggs are, many chickens are raised in cruel conditions, often unable to even spread out their wings or turn around. So research your brand before you by — choose free range eggs, and look for the Certified Humane label. Avocados: These creamy, luxurious fruits contain plenty of healthy monounsaturated fats, which promote proper blood flow by preventing plaque and cholesterol from clogging up your arteries. A sharp brain is a well-fueled brain, and blood charges your noodle with needed oxygen. Avocados are also high in vitamin K, which may help prevent degenerative diseases like Alzheimer’s. I’m planning on baking pumpkin bread with some walnut oil I bought a few Thanksgivings ago (stored in the fridge) when the weather gets a little cooler. Hooray for chocolate, avocado, and blueberries, and Certified Humane is the only way to go! I sometimes buy local eggs at the co-op that don’t have this certification (they’re really small-scale), but I’ve looked at their website and gotten confirmation from others that they treat their chickens well. They even have a video of some chicks running around in their outdoor area playing a suspiciously soccer-like game. Mmmmm, I love pumpkin bread! Best to taste the oil before you use it though, to make sure it isn’t rancid. Cheers!